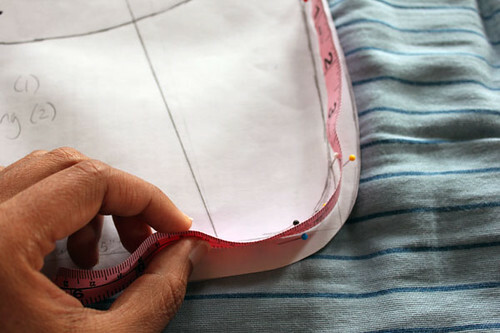 I've been drafting a new bag pattern, and I thought I would show how I measure lengths around curves. It's really quite easy. 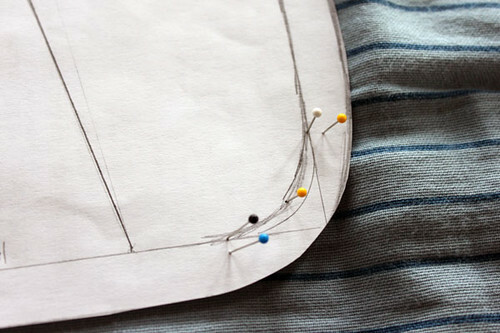 Start by pinning the pattern piece to something soft, like a a bed or a large corkboard. Use one set of pins right on the line you want to measure, and another set a 1/4 inch away or so. Then run your measuring tape between the sets of pins and gently pull taut. That's it! You don't have to make square bags anymore! Thanks. I always had trouble every time I want to draft curve bags. OMG!!! Lorenna!! You Blog!! And it's NIIIICE!! 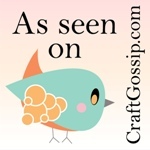 I saw you pop up on oneprettything.com and I was like, that name looks familiar... :P I blog too, but it's more family updates.